Unless we can be corrected, unless we are seeking God for an unfolding revelation of His son, our so-called "faith" may be, in reality, just a lazy indifference, a deception concerning the things of God. Subconsciously, we may actually want a dead religion so we do not have to change. True faith is freighted with the power of God. 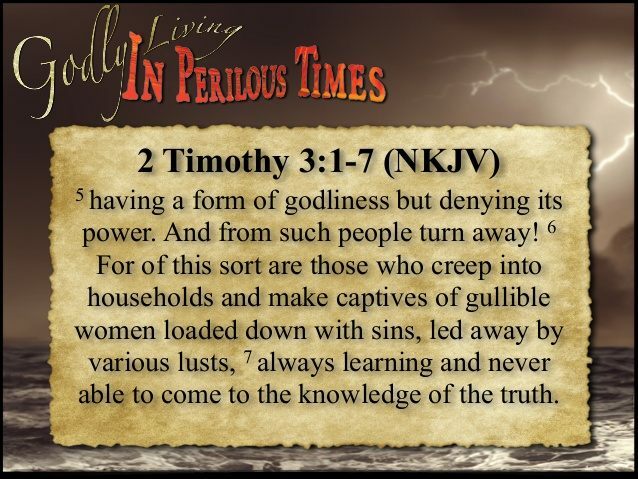 Timothy 3:5 - "Having a form of godliness, but denying the power thereof: from such turn away." It is imperative to always remember that God is exact truth and faithful. One of the names of God is Faithful and True. To move forward into our DESTINY, we must completely disconnect from the disappointments, limitations, frustrations, and failures of the past. If we are open to Him, the Holy Spirit will give us dreams in the night or streams of thought during the day to bring revelation and direction to our lives.